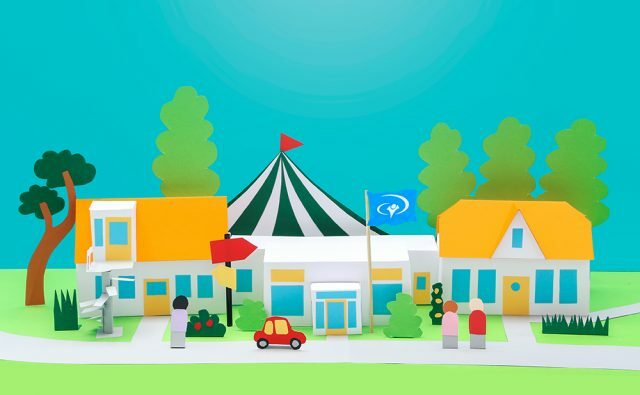 Join us on Ascension day 30 May, 2019 for our yearly Open House here at YWAM Heidebeek. This day is totally about missions! Come and experience missions at first hand and learn how you can contribute to the Great Commission. During the Open-House we will have many opportunities to share and get excited by hearing great stories. We will have a worship time and make sure there are plenty of opportunities for you to get a taste of our schools and projects like DTS, Bible For Life, School of Intercessory Prayer, The God Story, LUZ refugee ministry and much more! Also there is a special program for children. Another part of our Open House is our youth event “Hemelstijl“. This is for youth between 15-25 years old. So join us on Ascesion day and be inspired and involved with worldwide missions. The program will be between 10 AM and 4 PM. 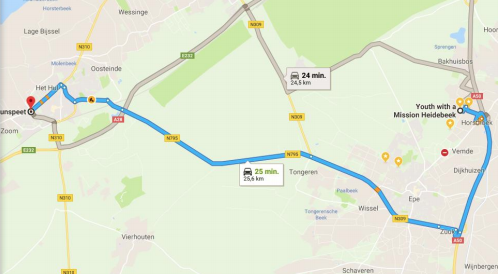 If you’re travelling from the west of the Netherlands and driving via Amersfoort. Follow highway A1 (until Apeldoorn) and then the A50 to Heerde (exit Heerde Zuid). 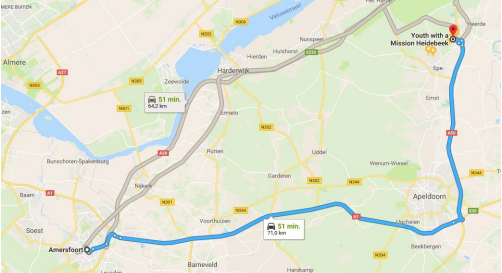 Are you travelling from the direction of Harderwijk, Ermelo of Nunspeet? The drive the direction of Epe and by Epe get on the A50 towards Heerde Zuid.